I know! Another Salad Thing. Sorry. Tis the season, right? I’ve got a great salad to show you for this tomorrow, but FIRST – this dressing. It’s vegan! Duh. It’s also super duper simple and YUMMY. 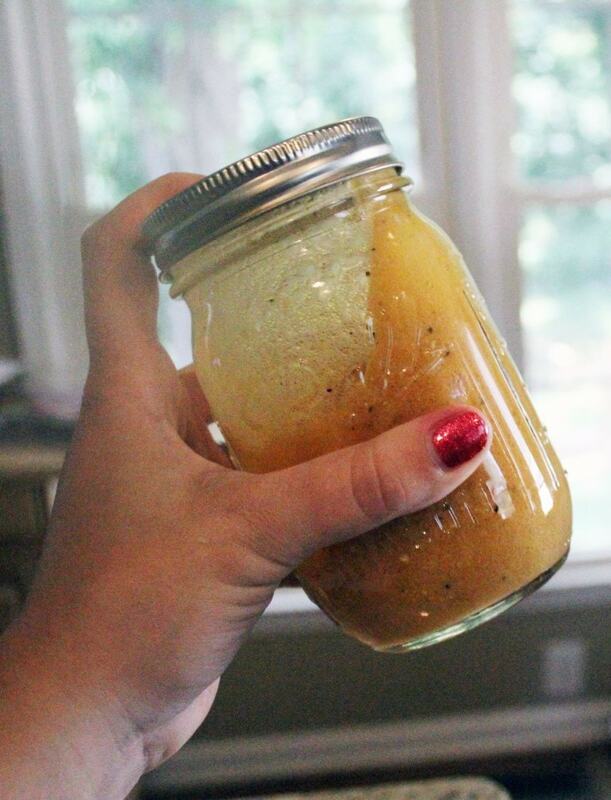 I make dressing in mason jars when I can because they close tightly and you don’t have to whisk to emulsify dressing – totally a plus in my book. I’m on a French food kick these days, and this is kiiiiiiind of French, with the addition of dijon mustard and herbes de Provence. 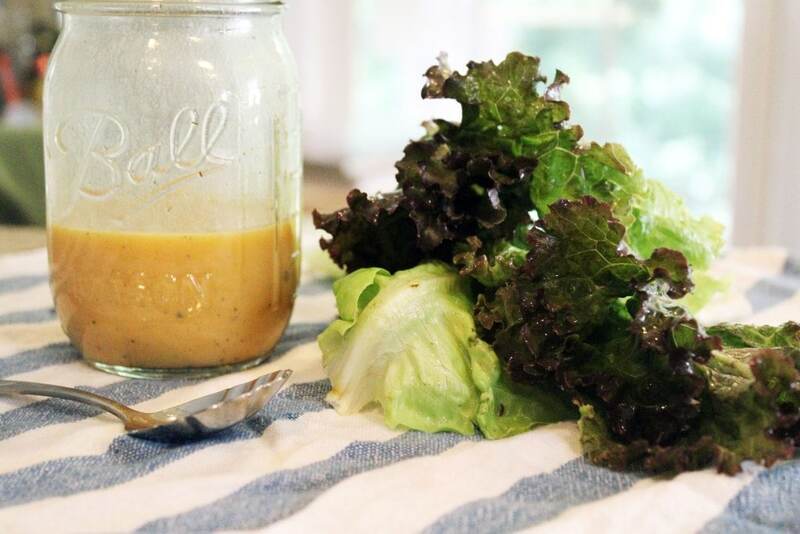 With all the yummy lettuce available at the farmer’s market this time of year, this is a great dressing to have around if you’re not into the other weird dressings I’ve been shoving down your throat recently. 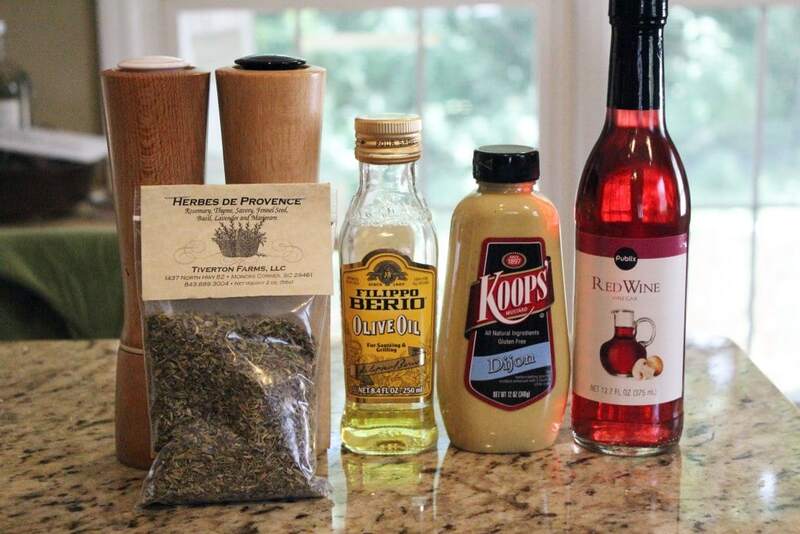 So, in addition to the mustard and herbes de Provence, you need olive oil, red wine vinegar, and salt and pepper. That’s it! Super simple. SIDE NOTE. At the wedding shower that my bff’s threw for us a few weeks ago a mystery person left a bag of oil and vinegar. BLOOD ORANGE OLIVE OIL and vinegar, to be correct. We don’t know who that person is, but I used the orange oil for this dressing and WHOA. Huge cool flavor. 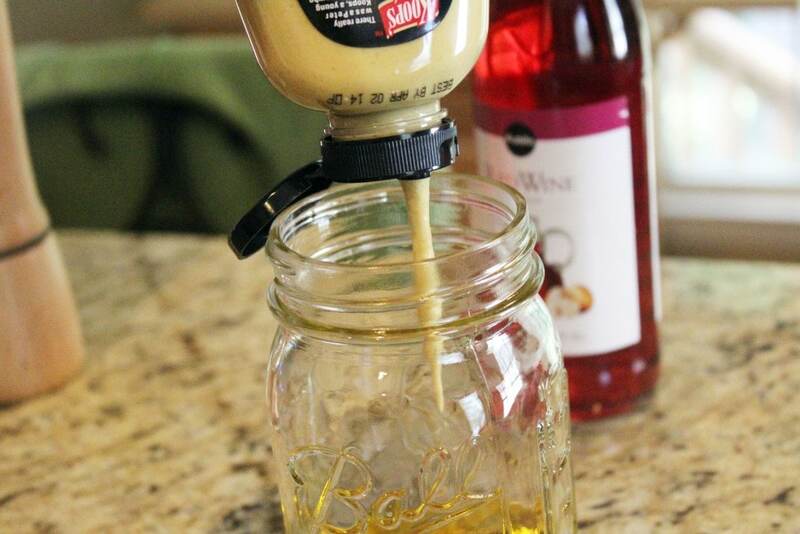 Regular olive oil works just as well, but if you have something weird and fun at your house go nuts and use that! Also, mystery person, THANK YOU. You know we love fancy olive oil! Back to the dressing! 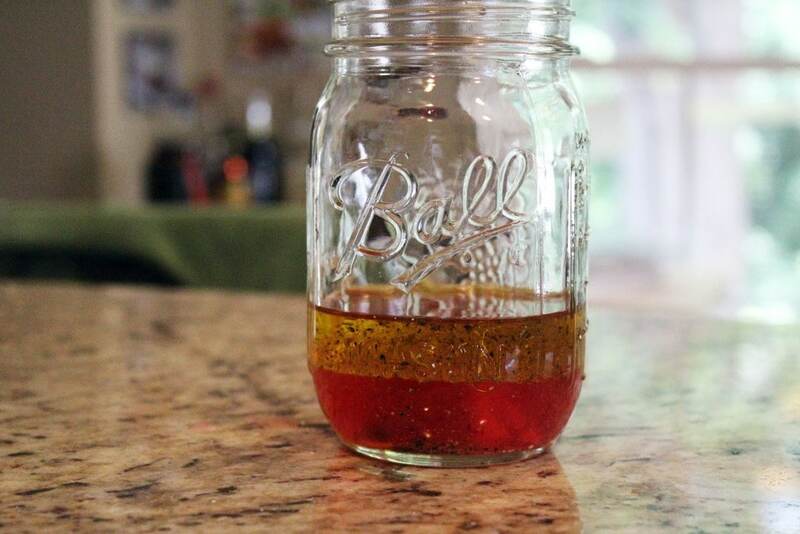 To a jar or other container, add the olive oil, salt and pepper, herbes de Provence, and mustard. I love the look of fresh, uns-emulsified dressing. Why? I have no clue. It’s just pretty. 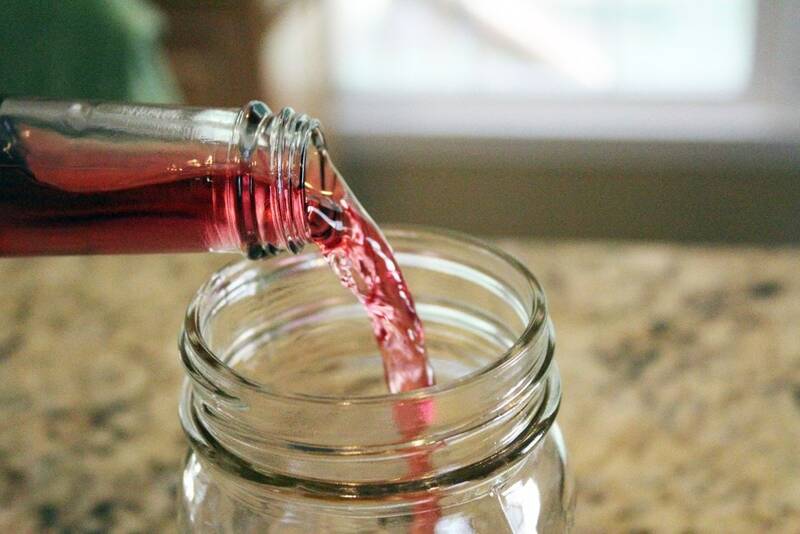 Put the lid on tightly, and give the jar a good shake to really combine everything well. Then, taste the dressing and add more salt or pepper if you’d like! Pepper gets stronger as it sits in dressing, so don’t add too much. If the dressing is too acidic for your liking you can add a bit of water or a pinch of sugar, too. There you have it, kids. 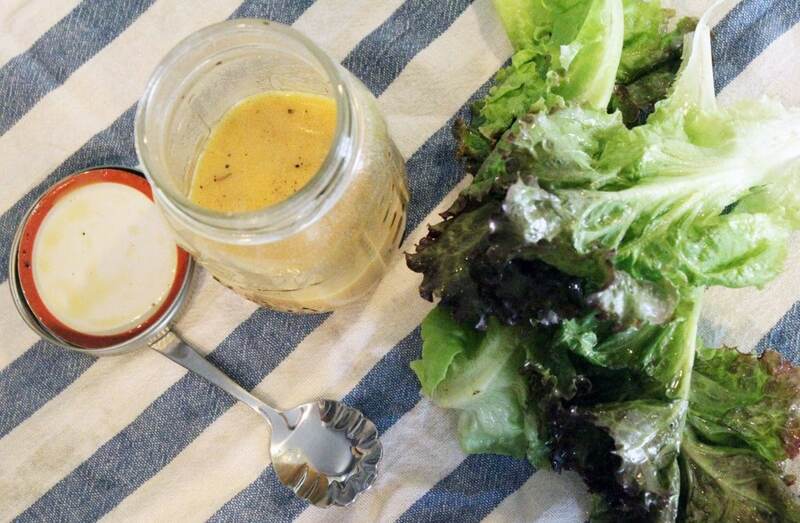 Lovely, easy vinaigrette that you can use for ANYTHING. I’ll tell you my new favorite thing to put this on coming up next! Shared at Weekend Potluck for everyone to try! Combine all ingredients in a jar, cover tightly, and shake. Or, mix the ingredients in a bowl using a wire whisk. Taste the dressing, and add more salt if needed. If dressing is too acidic, add a splash of water or a pinch of sugar. Serve with salad as desired. Enjoy!